Firefox Smartphone OS: The Real Third Platform? Mozilla recently announced that they were throwing their hat into the smartphone fray by building their own HTML5 based smartphone operating system. 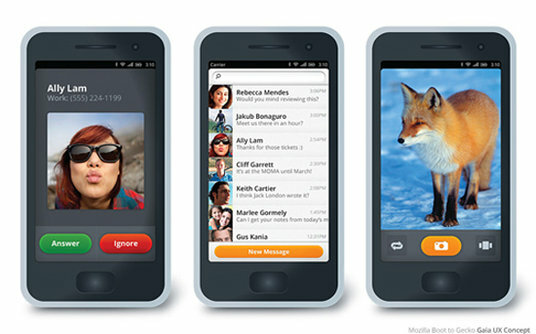 The first Firefox OS based device is set to launch in Brazil, via Telefonica, before Q1. Let's take a look at its prospects and see if it can become a challenger for the crown of the "third platform" in the smartphone market. Before we begin, I'd like to explain how I define the coveted title of "third platform" in the smartphone market. Global Perspective - From a global market share perspective, I believe the "third platform" would have to be competitive enough to grow and consistently maintain a market share of at least 10-20%, behind Android & the iPhone. However, this would not be the case for every region. Regional Perspective - From a regional perspective, I don't think there is much space for a "third platform" in developed markets. Smartphone market share trends by region show that Android & iOS hold a very dominant position in most developed economies (except for countries like Spain, Portugal & Greece, where the iPhone is particularly weak, thanks to a lack of carrier subsidies). Even though smartphone penetration is close to or below 50%, consumer mindshare is completely focused on Android & iOS. However, in emerging markets like China, India & Russia, Android is either a single dominant platform or has high market share with the remaining being held by legacy platforms like Symbian & Blackberry or more obscure ones like Samsung's Bada. These markets have relatively lower awareness about smartphone platforms and still have room for a second platform, since the iPhone is priced out of the market. Now, in order for Firefox to make its mark on the smartphone market, it needs to draw in consumers, partners and developers alike. Let's dive in and take a look at how it plans to do so. Mozilla has already stated their strategy of focusing on low priced smartphones, focused on emerging markets. The first device based on the Firefox OS is set to launch in Brazil at a price point below $100. The attractive price point will help attract first time smartphone buyers who are relatively unaware of competing platforms. Targeting extremely price sensitive consumers would also ensure that that initial "app gap" does not hinder initial sales. Also, since Android is a more hardware dependent operating system, competing with low end Android vendors should be easier. This is the same strategy I had suggested for Nokia & Windows Phone, but Nokia seems intent on barking up the wrong tree. No smartphone platform can hope to succeed without effective manufacturing & distribution partnerships. Mozilla has already roped in Telefonica for launching the first device in Brazil, while TCL Communication Technology & ZTE are to be the first manufacturing partners. Roping in ZTE would also give Mozilla the upper hand when it enters China, the world's largest smartphone market. Apart from these, Mozilla has also secured commitments from Deutsche Telekom, Etisalat, Smart, Sprint, Telecom Italia, and Telenor. Developers have always been enamored with the potential of HTML5, so getting them excited about the platform should be easy. Mozilla's pricing strategy should lead to a relatively quick ramp up of sales, which would be a big help in generating even more developer interest in the platform. Developer interest in the Windows Phone platform has been consistently dropping over the past few quarters and feedback about developing for Microsoft's mobile platforms has been relatively poor. Therefore, developers have every reason to look at the Firefox OS as a reasonable alternative to Windows Phone, behind Android & iOS. While HTML5 may not pose a threat to native app dominance, more developers adopting a "hybrid" approach (integrating HTML5 code along with native platform code) while building apps, would make it easier to port apps to the Firefox OS. As the app base is built up, the Firefox platform would find it easier to maintain existing consumers from defecting to the competition, as well as attracting higher profile & mainstream buyers, which should cement its position as the "third platform"
Conclusion - Mozilla has done a very good job laying out a smartphone entry strategy. They have already set up partnerships and with their strategy, attracting developers and first time smartphone buyers should be easier than it has been for Windows Phone. Much to the dismay of Nokia & Microsoft, Firefox may well be the real "third platform". There are a number of models selling for less then $100 in India. Firefox OS needs go under $50 to be competitive. It's not purely a function of price. Firefox's goal is to provide a smoother, easier to use product at the same price or a comparable product at a cheaper price. They don't need to dominate the low end, just getting a foot in the door will put them above the Blackberrys and Windows Phones of the world.